Another week has gone by and what a week it has been. Listed 290 Whitevale and it is sold conditional. 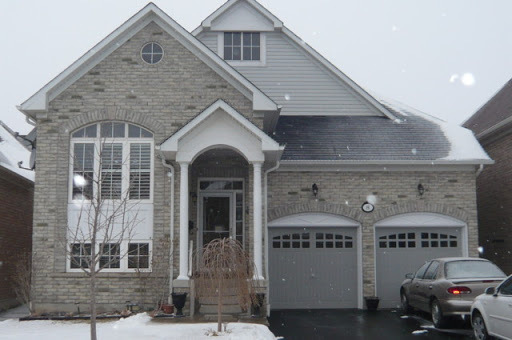 Listed 145 Wilkins Crescent in Courtice, it is sold conditional. Listed 50 Boardwalk Way in Markham, it is sold conditional. Listed a real beauty today. 8 Slader Heights in Ajax !!! Rare Opportunity For This Stunning Monarch Built Coppercreek Model! Open Concept *Bungalow* 6 Years New. Expansive Ceiling Heights, Main Floor Laundry, Gourmet Kitchen, California Shutters, Pot Lights, Closet Organizers, Builder Finished Lower Level. Over 2,400 Sq. Living Space. Must Be Seen To Be Appreciated !!! If you want more information go to my website or call me directly at 416-300-3004. If you are thinking of selling, let me tell you, the market is HOT !!! Especially in Durham Region. Inventory is low !!!! We need new listings, so if you are waiting for the Spring, DON’T !!!! Now is the time. For a free home evaluation, call me today !!! I will help you maximize your equity and get top exposure and price for your home. Well Spring is fast approaching and the market is heating up !!! Listings are selling in multiples all over Durham and surrounding areas. Inventory is low and it is basically a Sellers market right now. I am sure the tables will turn in April when everyone decides to list and the market is saturated with listings but for now, Sellers are having the time of their lives. Quick sales, top dollar and no waiting ….. I have a great buy right now, it is 290 Whitevale Road. Listed for $379,900. Assessed in 2008 for $405,000. Rare Find! Spacious Brick Bungalow Overlooking Greenbelt And Duffins Creek In Historic Whitevale. Mostly New Windows, Kitchen W/Lg Pantry, New Oil Tank, Roof (’02), Fin. Bsmt W/3 Pc Bath & Woodstove. Huge 2 Storey Dble Garage/Workshop, Ideal For Self Employed/Hobbyist. Fully Fenced Property, Crown Mouldings, Water Softner, Wood Stove, Hardwood Under Bdlm, Additional Wood Stove In Bsmt. Exclude: Washer And Dryer. Check out the link and the virtual tour !!! Should you have any questions or wish to view this property, call me at 905-831-9500. I will keep you posted on what it sells for !!! !